A police helicopter involved in the search for a missing hiker crashed into the mountains of Baja California in Mexico killing all on board. 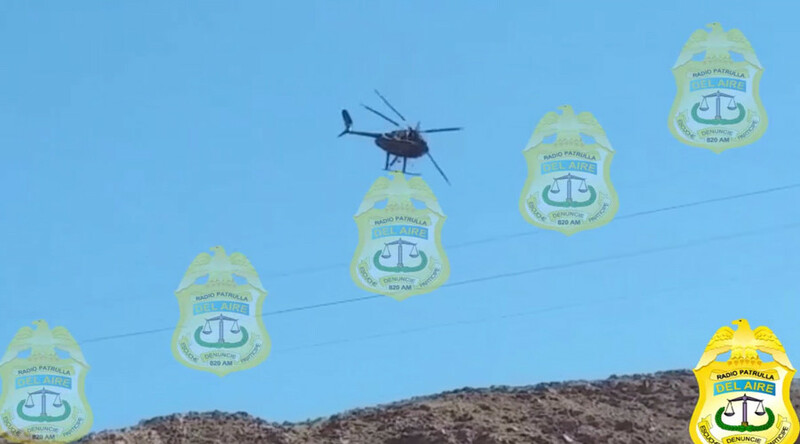 Video showed the helicopter in difficulty after encountering cables before plummeting to the ground. Four people were on board the helicopter on Monday including two police officials, a rescue volunteer and a member of Bravo 10 rescue team, reported La Voz de la Frontera. The crew had been involved in the reclamation of the corpse of Karen Violeta Ruiz Sánchez, a hiker who suffered a fatal fall at El Centinela, a mountain along the border with the US, according to El-Mexicano. They had located the corpse and transported it to a secure location before returning to the mountain to collect the rescuers, according to reports. Video reported to be filmed at the scene shows the helicopter encountering overhead cables soon after take off. The tail rotor can be seen separating from the helicopter before it rapidly descends. An explosion of smoke and flames can be seen at the point of impact. In a press conference following the incident officials said the helicopter had become entangled in high voltage cables. The governor of Baja California, Francisco Vega de Lamadrid, took to Facebook to express his "deep regret" for the families of the deceased.